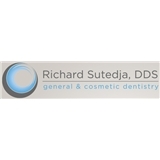 Richard Sutedja DDS (Fremont) - Book Appointment Online! Dentistry is more than a career to me. It is a calling. I am passionate about what I do today as I was when I started my practice 25 years ago. I love coming to work every day and spending my time to help my patients achieve and maintain their dental health. My wife and I are proud parents of two children. I have lived most of my life in California, however I have also had the opportunity of living in Europe and Asia which has given me tremendous exposure to various cultures and languages. Fremont is an ideal place for me to live as I enjoy meeting people from all over the world. In my spare time I enjoy skiing, exercising, and attending various continuing education. I believe in achieving excellence in dentistry. It begins with a careful co-diagnosis and treatment plan to establish the goals we will achieve together. Communication and long-term relationships are important to us. Let us know what is on your mind and ask questions. We will help you realize an investment in yourself pays dividends for a lifetime. We are caring, skilled professionals, dedicated to simplifying what is often a very complicated and confusing area of health care.